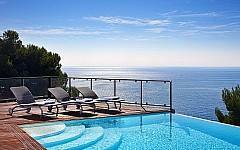 Magnificent contemporary style property with an amazing sea view from Cap d'Ail to Cap Ferrat. 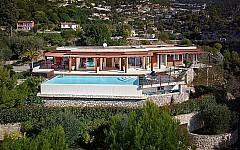 It includes a main villa of 180 sqm and a guest house of 100 sqm. 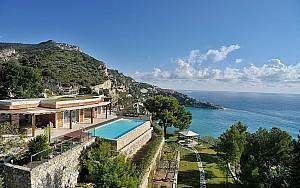 Built in a contemporary style, the property is surrounded by huge flat gardens of 10.000 sqm. 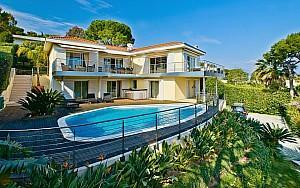 Heated swimming pool, jacuzzi, numerous parking places. 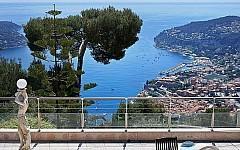 Walking distance from the beach, 5 minutes from Monaco, 25 minutes from Nice airport. 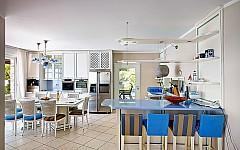 Main villa: living room, dining room, open plan kitchen, 2 bedrooms with dressing and bathrooms and loundry. 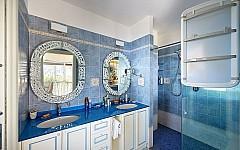 Guest house: living room, open plan kitchen, 2 bedrooms with dressing and bathrooms.